Nightmares are one of the worst thing that happen in life. But what is good about them is that they are not real. Playing Nightmare Realm: In the End... you find yourself in the world of nightmares, but they are as real for you as anything else. 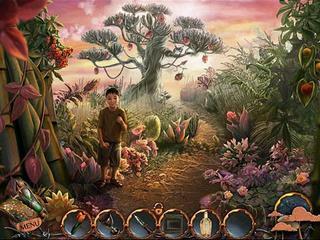 The game offers you different modes of difficulty. There's a map that very well thought through. There's a journal too. Your daughter has been taken from you by a strange creature. You are now challenged to leave everything and follow her and find a way to take her back into reality. The game is full of surprises and mysteries to uncover. Travelling in an unreal world is always a great oportunity for some amazing graphics. And this game used this oportunity. You are to visit some really beautiful locations. 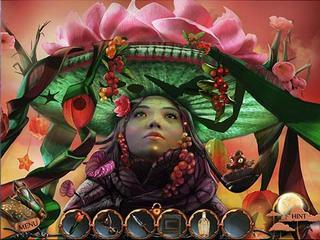 The game offers you different modes of difficulty. There's a map that very well thought through. There's a journal too. It keeps all the cards that tell you some information about the characters that you meet. There are also collectibles in the form of arigami. You need to really look for thembecause they sometimes are hard to find in all the small parts of those nightmarish scenes. All in all the game is put together very well. It is a great journey into an unreal world. This is Nightmare Realm: In the End... review. Download this game here.